DePuy Synthes, a division of Johnson & Johnson, has recalled more than 50,000 Synthes Radial Head Prosthesis Systems out of concern that the radial stem may loosen post-operatively at the stem-bone interface. The U.S. Food & Drug Administration (FDA) has designated the DePuy elbow implant recall a Class II medical device recall, indicating that these components may cause temporary or medically reversible health complications. The attorneys at Bernstein Liebhard LLP have represented hundreds of individuals injured as a result of recalled medical devices, and they are now providing free, no-obligation legal reviews to the alleged victims of this DePuy elbow implant recall. To learn more about filing a claim, please contact our office by calling (888) 994-5118. The DePuy Synthes Radial Head Prosthesis System was granted FDA 510(K) clearance in June 2011, and is indicated for use in various elbow replacement procedures. The 510(K) clearance program does not require a device to undergo human clinical trials prior to coming to market, so long as a manufacturer can prove that the product is substantially equivalent in design to a device that had previously received FDA approval. The DePuy elbow implant recall involved 50,311 units distributed throughout the U.S. In February 2017, the FDA declared the action a Class II recall. Healthcare providers who treated their patients with the DePuy Synthes Radial Head Prosthesis System have been advised to continue usual follow-up with those individuals. Were You Affected by the DePuy Synthes Radial Head Prosthesis System Recall? Contact an Attorney Today? Individuals who allegedly experienced complications related to the DePuy Synthes Radial Head Prosthesis System recall may be entitled to compensation for their medical bills, lost wages, pain and suffering, and more. 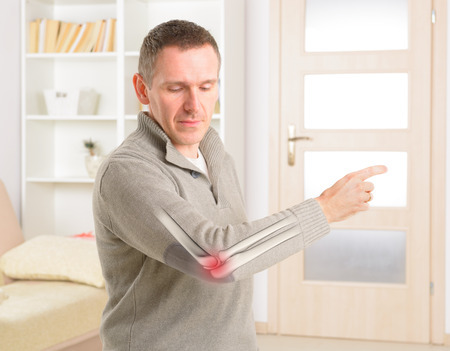 To discuss filing a DePuy elbow implant lawsuit, please call (888) 994-5118 to contact an attorney with our medical device practice today.